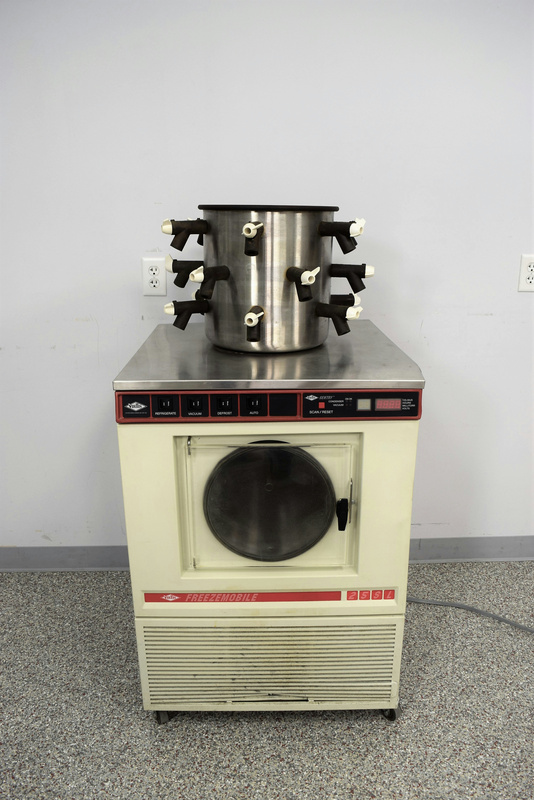 Virtis 25 SL Freezemobile Lyophilizer Freeze Dryer 273581 Savant Vacuum 230V . New Life Scientific, Inc. This Freezemobile is in fair cosmetic condition and displays yellowing from age. There are several dents and blemishes to the frame that could benefit from body work. The technicians powered on the freeze-dryer and discovered that the refrigerant system did not work. The user should considered this product is being sold for parts / repairs only and it is not a functional product. There is a Savant vacuum pump, stainless steel drum manifold, and 230 V~ direct inline power cord featured.